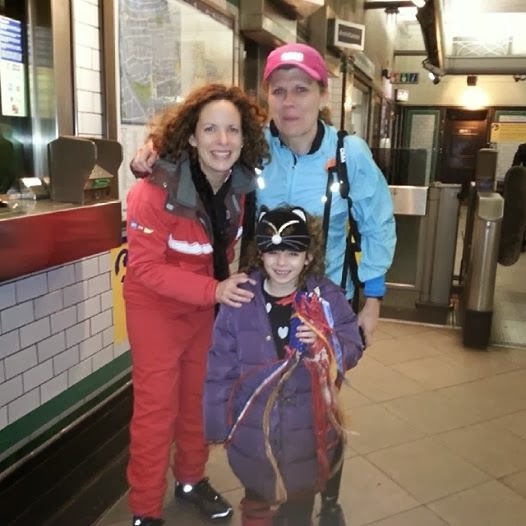 Last week Daisy had her whirlwind, multidisciplinary admission into Great Ormond Street where, following gargantuan planning and co-ordination efforts we managed to compress the equivalent of a month's worth of consultations and procedures into a 5 day stay. The week started off under the ENT team where Daisy had an airway assessment (some scar tissue on the larynx but structurally OK) and removal of her adenoids. This was the second set of adenoids she had removed, 6 years ago the first set were taken out together with her tonsils but very rarely they can grow back, and as we know with Daisy rare is a word she is very fond of! While she was recovering from this surgery under the expert eye of her Daddy I took the opportunity to do my bit for the Team Honk relay (see my earlier post http://www.wasthisintheplan.com/2014/01/comic-relief-team-honk-and-little-girl.html) and combine my marathon training by running with the team baton from St Pancras to South Wimbledon. I'm definitely going to try and do more running to or from the centre of London because it turned out to be a quicker option during rush hour than driving! After some urodynamics testing (to provide information for the surgeon we are visiting next month in Manchester for a second opinion on where to go next with Daisy's neuropathic bladder) we moved on to the telemetry unit. We have been waiting a long time for the extended telemetry monitoring to try and better understand what is happening with Daisy's seizures, the big worry was that this may coincide with one of her seizure free periods which she has every now and then for a week or so (there is nothing worse than waiting for the next seizure to hit, especially if there has been no seizure activity for a few days - ask anyone with epilepsy). 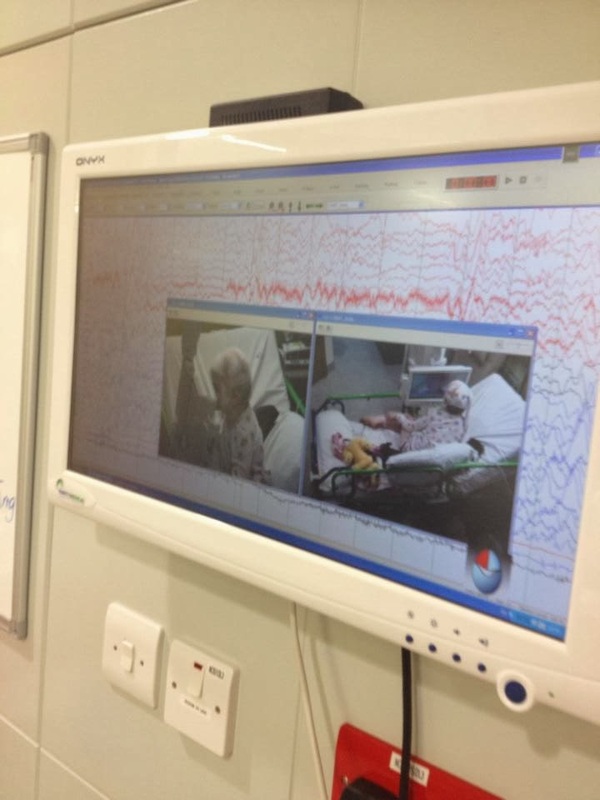 We need not have worried - Daisy had some pretty big seizures all caught on camera and on the eeg which demonstrated the full range of her epilepsy. Three days in the telemetry unit was the medical equivalent of a stint in the big brother house with cameras and microphones monitoring Daisy's (and by default my) every move. 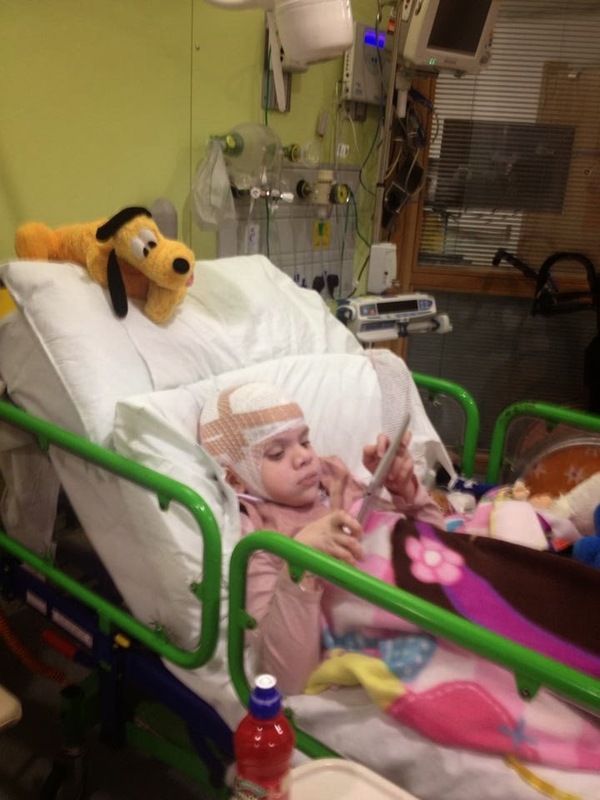 She was, as always, a complete star - putting up with a very itchy scalp, where the eeg probes had been glued to her head and tightly bound, she was feeling rough from the surgery and all the tests and procedures but still managed to smile and entertain us all. In all she had reviews from eight different specialities over the course of the week and by the end we were all suffering from information overload and very glad to get home - especially as it was big brother, Theo's, 17th birthday the next day. 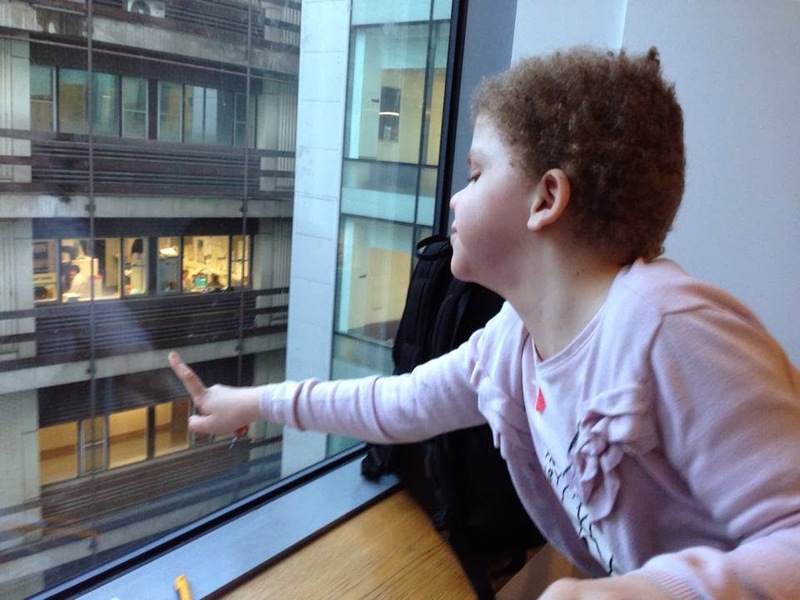 The time in hospital has given us a few answers - chatting with the geneticists they still feel that what we are seeing with Daisy is a very extreme manifestation of Costello Syndrome. 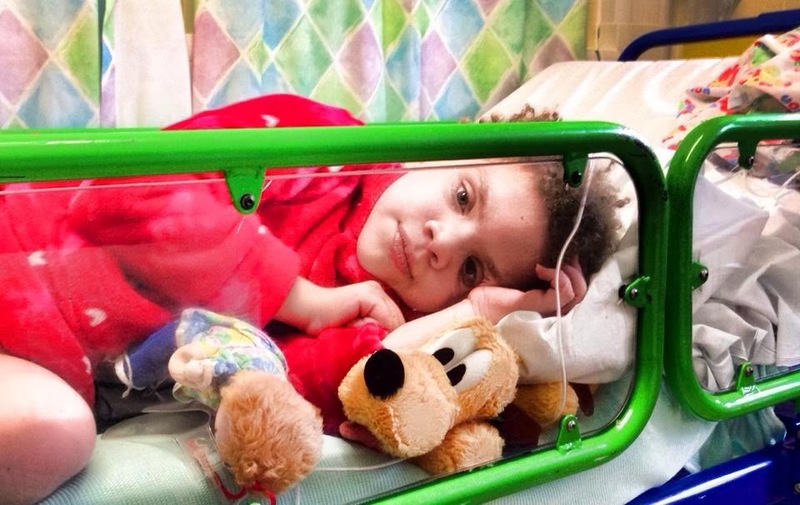 It may have occurred in other children with her gene mutation who did not go on to survive but Daisy's luck in the lottery of life means that she was born in a country with a good healthcare system, lives close to a leading paediatric hospital and has accessed to all the drug treatments and tests she needs without us having to go into debt to pay for them (thank you NHS!!!) - it has meant that she has survived against the odds and has become the rarest of the rare. We recently had bloods taken to be included in an exome testing study to look at if there are any further gene mutations that may explain what is going on in Daisy. It's not going to change anything - her prognosis is what it is but it may help explain things and that may help other families too. We do at long last have an idea of what is going on with her seizures - everyone now agrees they are seizures (at one point a neurologist was wondering if they were a form of movement disorder, although he was on his own with this) - they are arising from both the left and right side of the brain which makes them a form of multifocal epilepsy causing tonic clonic (grand mal) seizures. It's not great news (since when was a diagnosis of epilepsy ever good news anyway) because multifocal epilepsy is the most difficult form to manage and control. Deep down I was hoping that if they could have pinpointed one place in the brain where the seizures were originating from surgery might have been an option to try and stop them but now the only option is to change drugs and try something else. But of course because we are dealing with the rarest of the rare, the full range of anti-epileptics are not at our disposal. Daisy's drugs need to be given intravenously and we also need to be aware of side effects that can exacerbate the TPN side effects, especially on the liver. 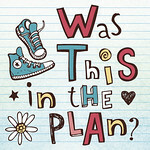 The plan is to fully analyse the three days worth of data that was gathered on Daisy's brain activity and take it from there making a plan on which would be the best anti-epileptic to now move onto as her current drug, Keppra, is clearly not controlling the seizures and is also really impacting her behaviour. 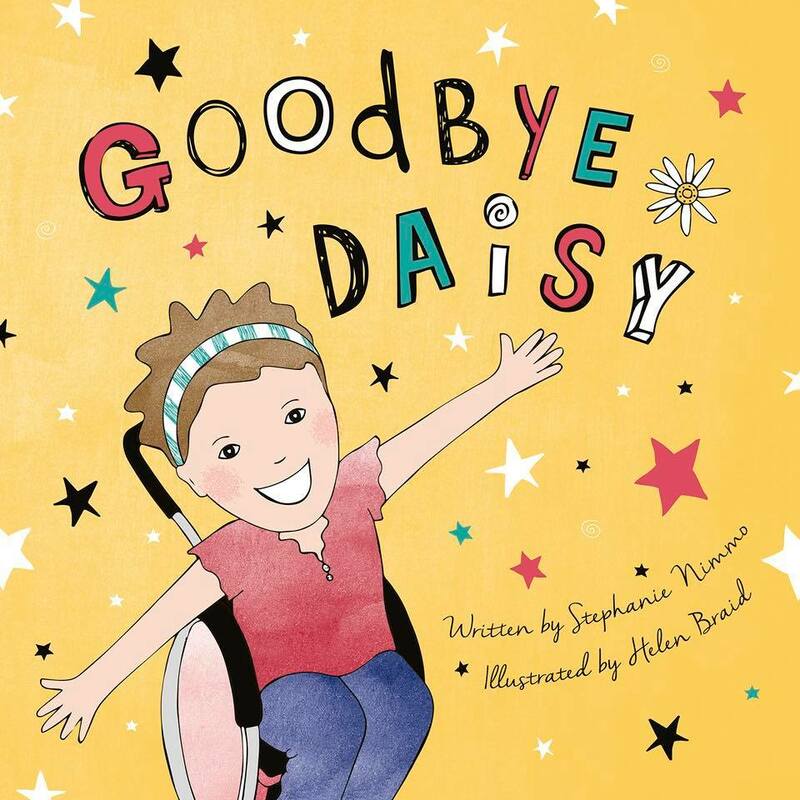 Daisy goes back into hospital next month for her next surgery which is to repeat the achilles lengthening procedure which was done 3 years ago in an effort to keep her mobile and able to walk to transfer from wheelchair to bed etc. This will be followed by 6 weeks in plaster casts which is going to be fun as Daisy now weighs 28kg and is far less mobile than when she had this surgery 3 years ago. We have already had a visit from the Occupational Therapy team to look at a mobile hoist for downstairs and they are also going to sort out a seating system for her so that when she has had a seizure she can be comfortable and safe. So all in all it was one of our better stays, gone are the days when we hoped for cures and full answers but at least we have a plan and at least there was a little bit more joined up thinking on what to do about Daisy's care than we have experienced in the past - years of patient advocacy and communication (pun intended) is at long last paying off. Next stop is Manchester Children's Hospital for the meeting with a new Urology Surgeon and possible results from the exome testing (which is being done, fortunately by the Manchester genetics team as they are strongly connected with research into Costello Syndrome), then back to Great Ormond Street. 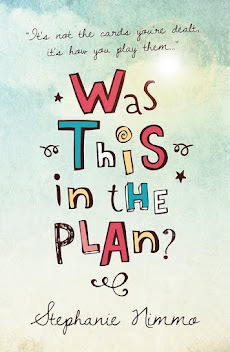 This year's roller coaster ride has already started at a pretty high speed, I'm hoping that by Easter I'll have a chance to catch my breath and spend a bit of time just being a Mum and having some fun with Daisy and the rest of the family. Great that you received some explanations that make sense. Keep on running …….. multiple puns intended. You must be exhausted!!!!! What a week - but so glad you had everyone on board and have made progress in understanding the seizures a bit better. Not good news though. Good luck with the surgery and post op care - I'm dreading having J off his feet with foot surgery this summer, and H in casts to stretch his calf muscles but they will still be mobile which is VERY different. 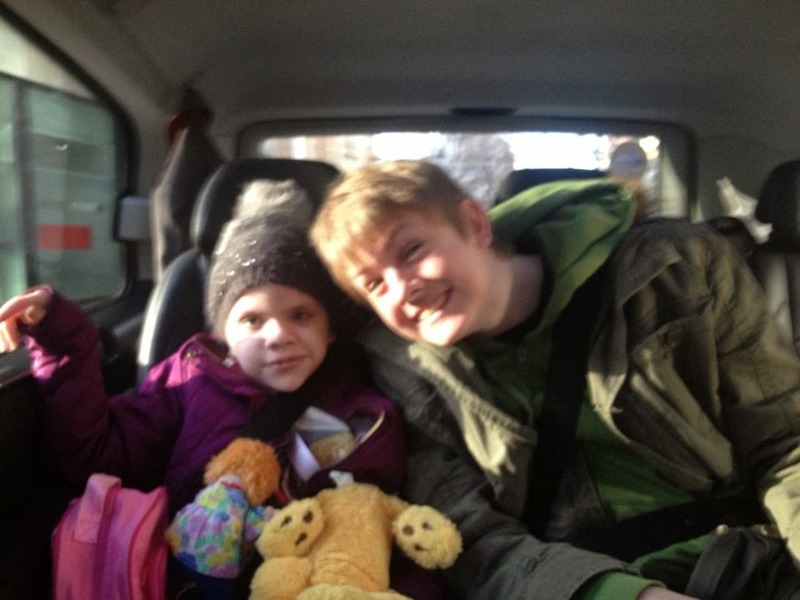 Really hope your OT comes up trumps and gets the kit you need to help care for Daisy. I came across your blog through Love All Blogs; the strength you and your family must have, sending you prayers and hugs.